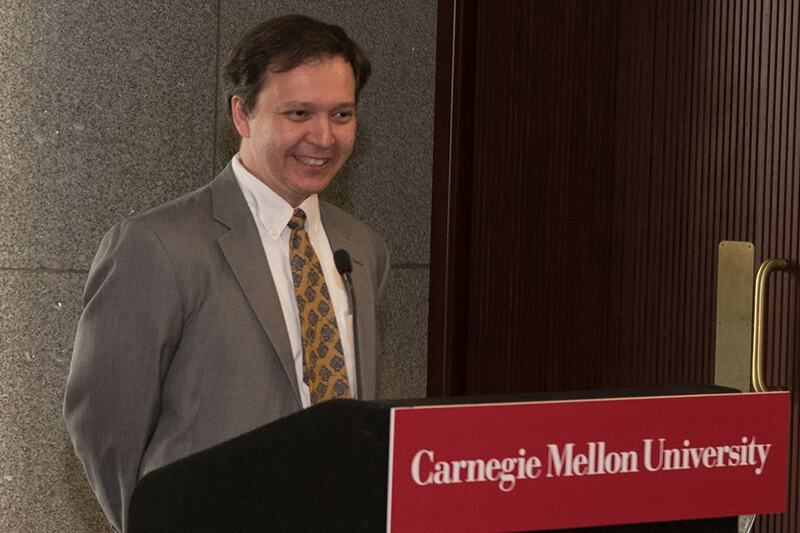 Congratulations to Ruslan "Russ" Salakhutdinov for receiving an endowed professorship of computer science from UPMC to fund work in statistics, artificial intelligence, machine learning and data analytics to help shape the future of health care. The financial support continues nearly three decades of UPMC’s investment in CMU, which includes the Pittsburgh Health Data Alliance, a collaboration between CMU and the University of Pittsburgh that uses data to improve health outcomes and hopes to transform the practice of medicine. Russ is a leading researcher in deep learning, a branch of machine learning that is transforming artificial intelligence. By mimicking processes used by the brain’s cortex, deep learning has helped computers dramatically improve their ability to understand human speech and language, to identify objects and actions in images and to discover substances that hold promise as pharmaceuticals.